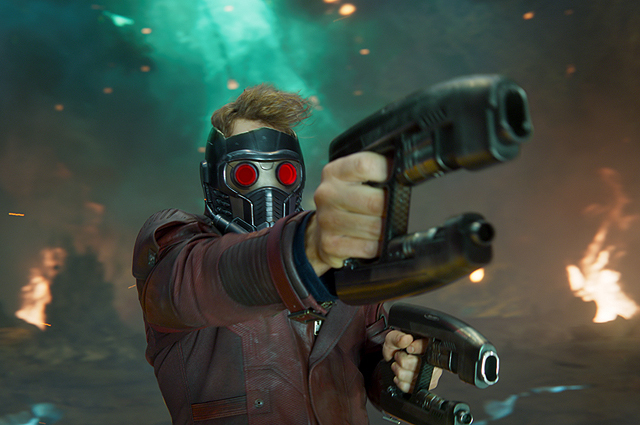 Were you expecting another Guardians 2 trailer so soon? According to ABC’s schedule for Jimmy Kimmel Live! (via TrailerTrack), star Chris Pratt will be on the show on Tuesday, February 28 to debut the new Guardians of the Galaxy Vol. 2 trailer! The new trailer should be be playing in theaters with Logan, which opens in theaters the evening of Thursday, March 2nd. Speaking of Guardians of the Galaxy Vol. 2, we have yet to see an official photo of Kurt Russell’s Ego the Living Planet (so far it’s only been toy photos), but you can view a photo by clicking here. We’re not sure where it originated, though it looks to have come from some kind of toy packaging. Having a great morning so far at my lovely local Starbucks in Peachtree city Georgia…..ShitYes!! !